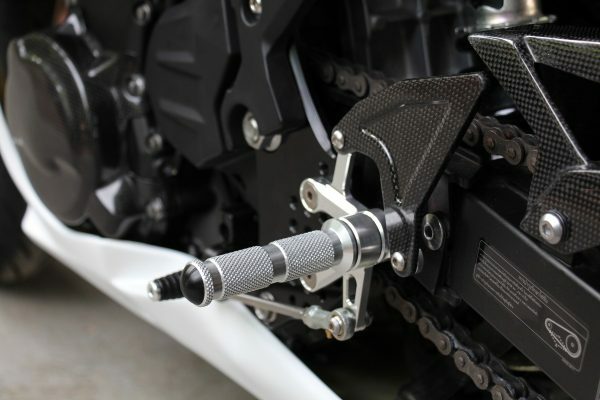 Brake light is not used on these race steps, but a simple inline pressure switch may be used. 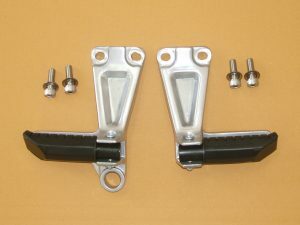 The side stand mounting does not need to be removed. 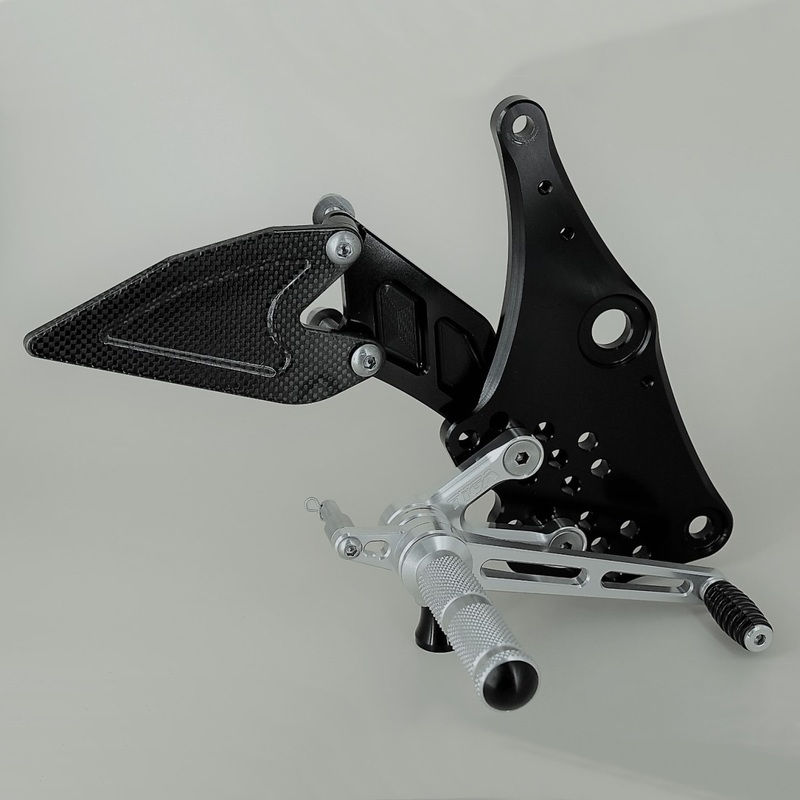 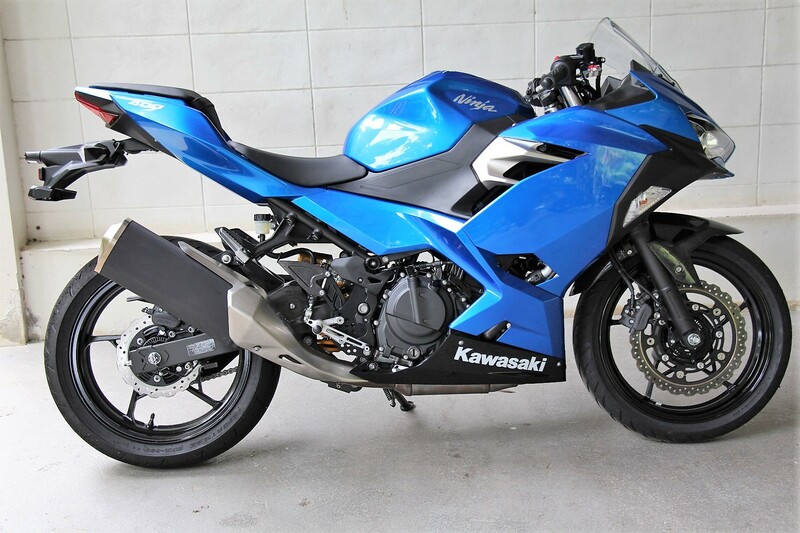 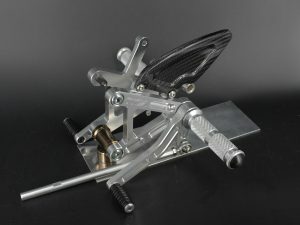 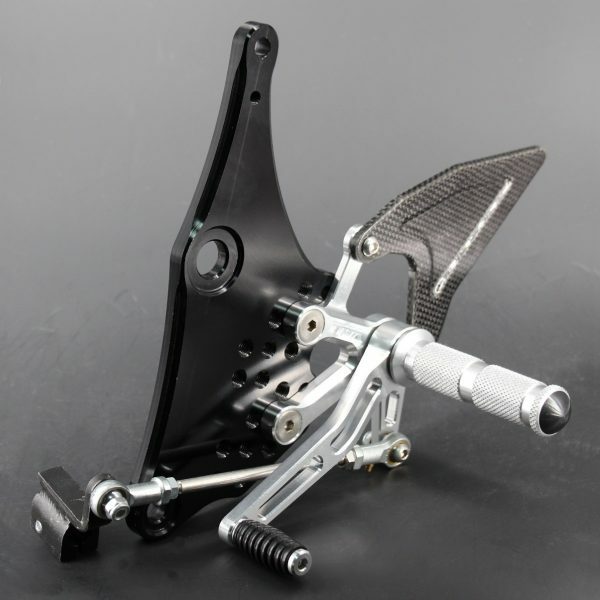 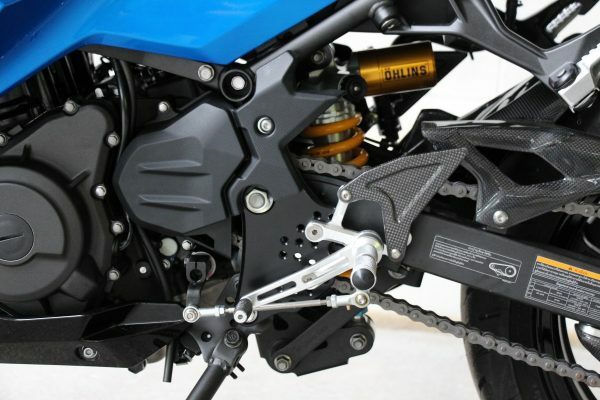 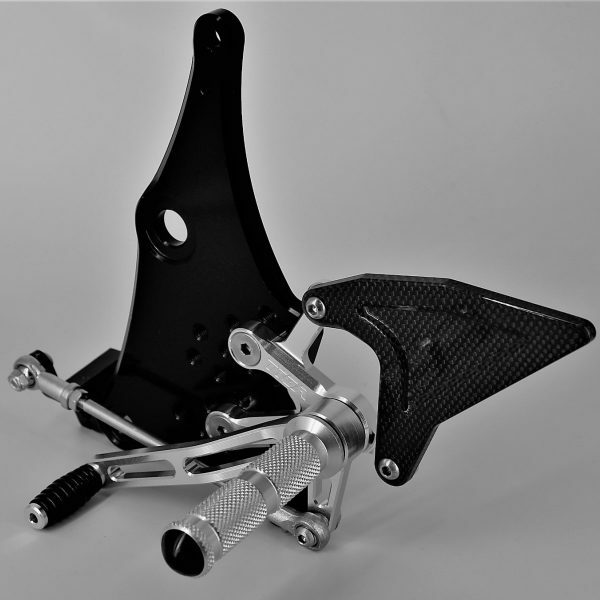 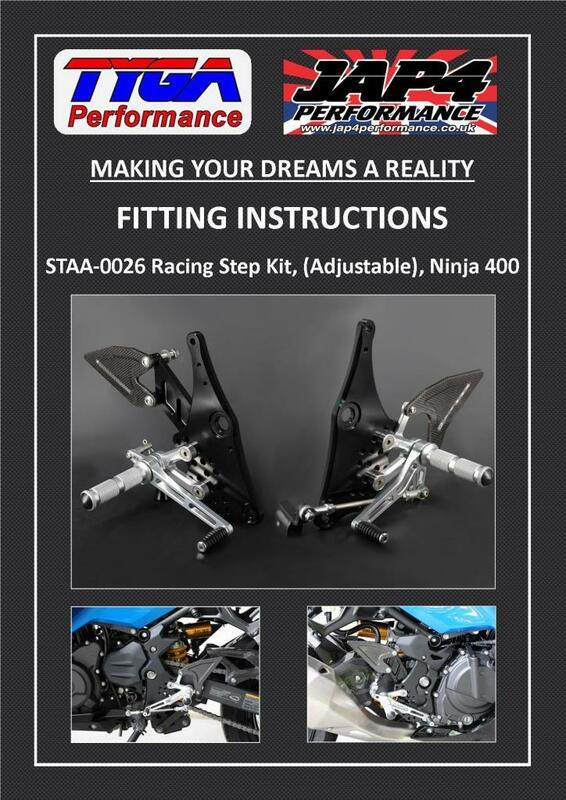 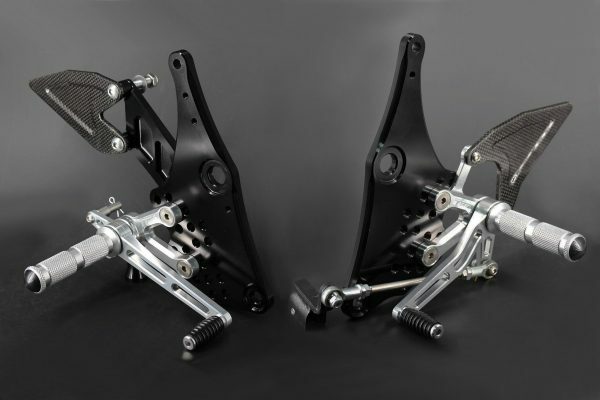 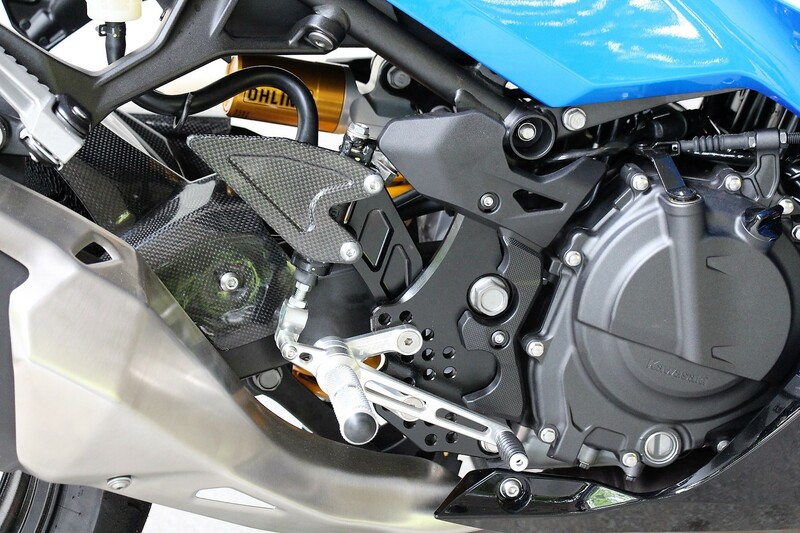 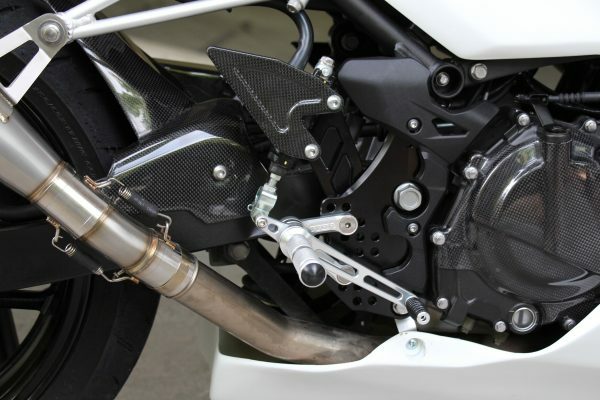 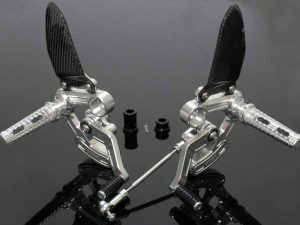 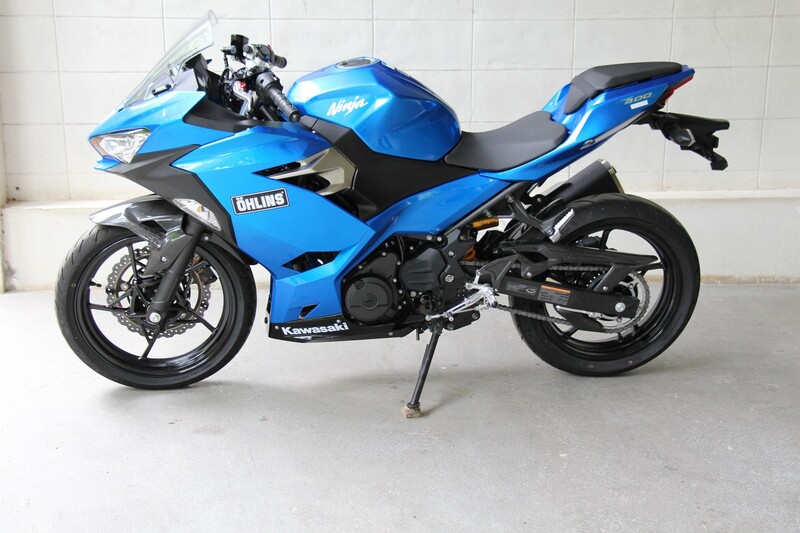 Fitting the TYGA Step Kit for the Kawasaki Ninja 400 requires that the swingarm axle be removed from the machine, which can render the vehicle unstable. 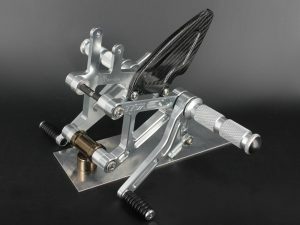 We recommend using a rear paddock stand for stability, and having an assistant can be very useful during removal and fitting of the axle. 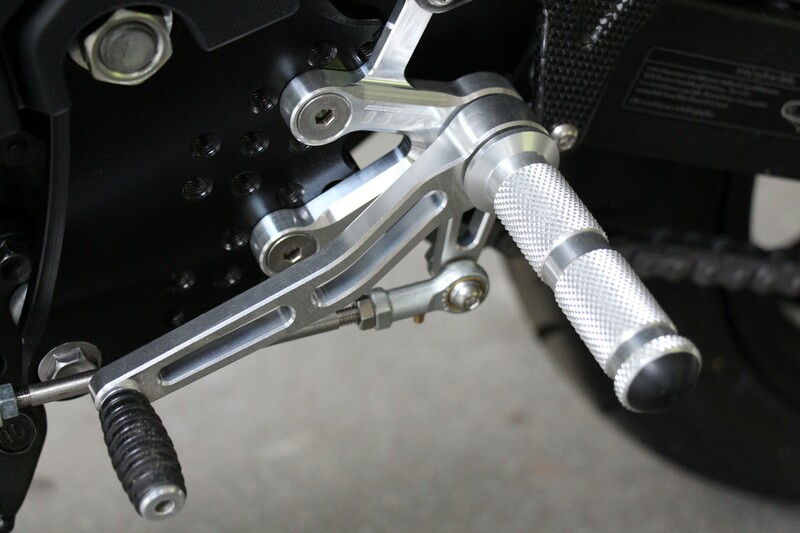 * Peg position can be adjusted to ten positions by 2x M8 bolts attaching the hanger plate to the main plate. 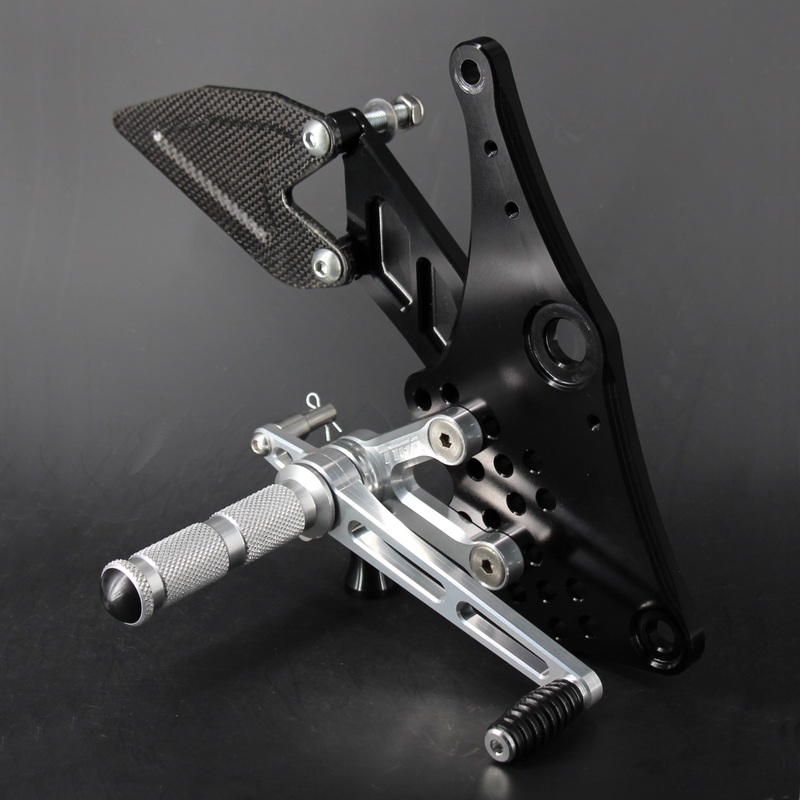 After a position change, adjustment of the gear change arm and link rod length will be necessary. 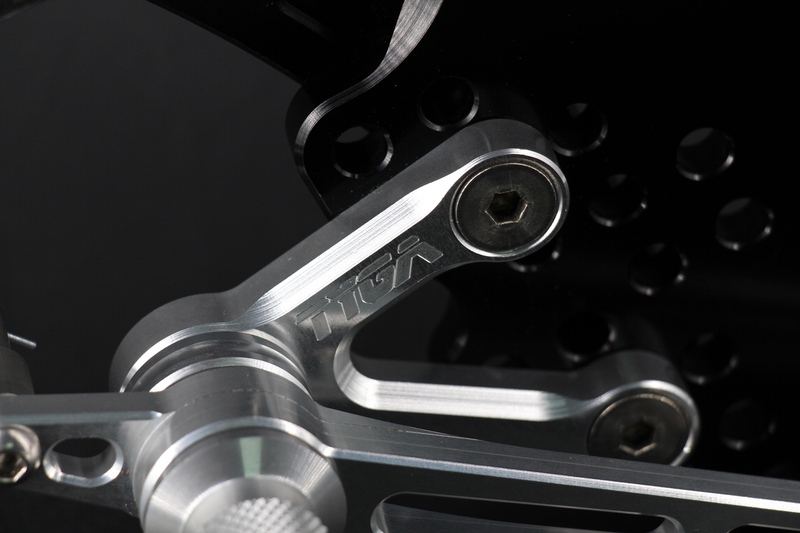 For low/forward positions you will need to use the standard link rod. For your safety, please ensure all fasteners are tight before use, and we recommend the use of thread locking agent (such as Loctite 242) on the 2x M8 bolts.